Historian Ramón Gutiérrez — an award-winning author and director of the Center for the Study of Race, Politics and Culture at the University of Chicago — will visit Northern Illinois University later this month to deliver the seventh annual W. Bruce Lincoln Lecture. The lecture, titled “Thinking About Race in a Post-Racial America: From Plessy v. Ferguson to Barack Obama,” will be held at 7 p.m. Thursday, Oct. 28, in the Altgeld Hall Auditorium. The event is free and open to all. It is sponsored by the NIU History Department and the W. Bruce Lincoln Endowment. A 1983 winner of the MacArthur Foundation Prize Fellowship (popularly referred to as the “genius award”), Gutiérrez serves as the Preston & Sterling Morton Distinguished Service Professor at the University of Chicago. Gutiérrez first established his reputation with an ambitious chronicle of the Spanish conquest of New Mexico in the award-winning book, “When Jesus Came the Corn Mothers Went Away: Marriage, Sexuality and Power in New Mexico, 1500-1846.” He also has authored numerous publications on race and ethnicity in American life, Latino Studies, Mexican immigration and Indian-White relations in the Americas. “Professor Gutiérrez’s scholarship has continued to enrich our understanding of the interaction of race, culture and religion in the Americas, the history and culture of Latinos in New Mexico, and race relations in the United States,” said NIU Distinguished Research Professor of History Michael Gonzales. 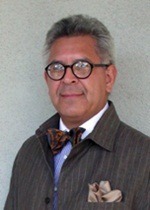 Over the course of his career, Gutiérrez has received many academic awards, including the John Hope Franklin Prize from the American Studies Association and the Frederick Jackson Turner Prize from the Organization of American Historians. Gutiérrez also served as associate chancellor in the University of California system and was a faculty member at the University of California, San Diego, where he founded the Ethnic Studies Department in 1989. He served as founding director of U-C-San Diego’s Center for the Study of Race and Ethnicity. Beginning in 2004, the W. Bruce Lincoln Endowed Lecture Series has brought such notable speakers to NIU as renowned religion scholar Martin Marty, journalist Mark Danner and prominent historians Walter LaFeber, Lizabeth Cohen, Matthew Connelly and Jonathan Spence. The endowed lecture series is named in honor of the late W. Bruce Lincoln, a world-renowned historian of Russia who taught on the NIU faculty for more than three decades until his retirement in 1998. Lincoln was among the first group of NIU faculty members awarded Presidential Research Professorships in 1982. The recipient of many grants and awards, Lincoln possessed a lifelong passion for learning and a gift for writing. He authored a dozen books that gained a wide audience among students, scholars and the general public alike.